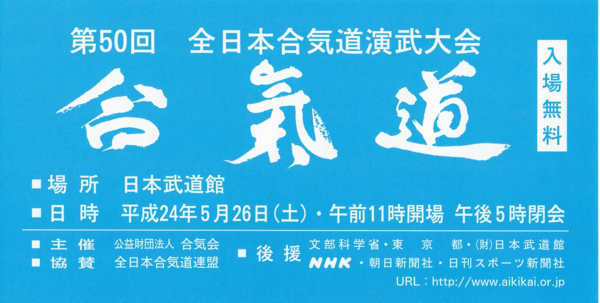 May 26th, 2012 marked the 50th All Japan Aikido Demonstration (第５０回全日本合気道演武大会) in Tokyo, at the Nihon Budokan. The All Japan is the biggest event of the year for Aikikai, and groups come from around Japan and around the world to attend. It is attended by thousands of spectators and demonstrators. But did you know that much of the motivation for these huge Aikikai events was actually provided by the Yoshinkan?At the end of the war the Wakamatsu-cho Aikikai dojo (the Kobukan Dojo before the war) was one of the few buildings still left standing after the bombing. Even so, the roof was badly damaged, many of the tatami mats were missing, and refugees were actually living in the dojo. Morihei Ueshiba was living in Iwama and rarely came to Tokyo. In "Morihei Ueshiba: Untranslatable Words" we explored one of Koichi Tohei’s experiences during the 1961 visit to Hawaii by Aikido Founder Morihei Ueshiba. For those that are interested, Koa Kimura’s photo journal of O-Sensei’s visit to Hawaii is available on the Aikido Hawaii website.Koichi Tohei originally visited Hawaii in 1953, at the invitation of the Hawaii branch of the Nishi Health System. 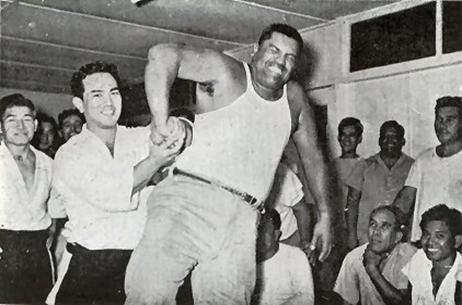 Between 1953 and the opening of the Honolulu Aiki Dojo in 1961 Aikido experienced an explosive growth in the Hawaiian islands – the Hawaii Aikido groups were even able to raise funds to send to Japan for the repair of the Aikikai hombu dojo, which had been damaged in the bombing of Tokyo during WWII. In 1927 Katsuzo Nishi created a system of health exercises called the Nishi Health System (Nishi Shiki). His theories are characterized by the idea that the human bone structure and positioning of the internal organs are basically the same as those evolved for the mammalian species that ambulate on four legs, but human beings have adopted an upright two-legged life style that places unnatural structural strains on the human bone structure. This results in problems like obstruction of the flow of food through the intestines (constipation) due to the unnatural (vertical) positioning of the organs. As methods to compensate for these structural defects, Nishi conceived and encouraged the use of treatment through exercises such as the goldfish movement spinal column exercise and the lateral vibration exercise known as the “Haifuku Undo”. 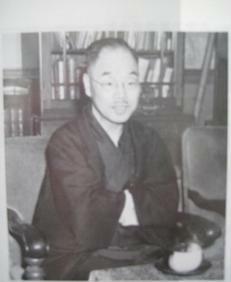 It so happens that Nishi was himself a student of Aikido Founder Morihei Ueshiba, and the Nishikai (the organization formed around the Nishi Health System) was instrumental in inviting Koichi Tohei to Hawaii in 1953.In 1961 the students of Hawaii dedicated the opening of the "Honolulu Aiki Dojo", the first Aikido dojo constructed outside of Japan. Morihei Ueshiba O-Sensei came from Japan, his one and only trip to the United States, to dedicate the opening of the dojo. 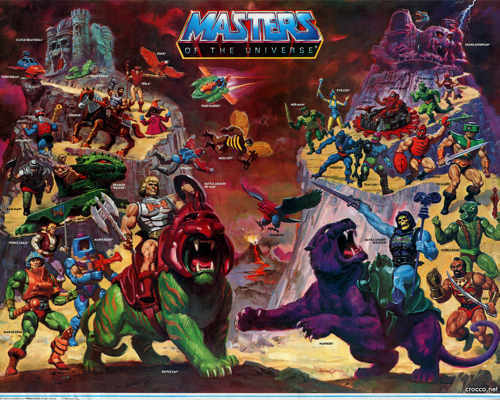 Masters of the Universe®, Mattel Inc.
"Shihan" – most often translated as "Master Instructor". Sound pretty important?The term wasn’t used much when I first started Aikido, but it seems to be the title to have nowadays.In Japanese, the Kanji for Shihan (師範) break down to "instruct" and "model" – or "model instructor". This makes sense, especially considering normal Japanese methods of instruction – this would be the guy that everybody else copies, or hopes to copy.The usage of the word varies from art to art. Some arts issues Shihan certifications, some don’t. Some arts (like Shodokan "Tomiki" Aikido, which only has two, although it is also used as an organizational title) have a very limited number of Shihan, some have many. In Judo, Jigoro Kano is usually called "Kano Shihan", as Morihei Ueshiba is often called "O-Sensei" in Aikido.What does "Shihan" mean in the Aikikai (I’m only going to talk about the Aikikai here)?